Organised funding from banks to the real estate sector is gradually improving, especially in markets where developers are becoming more transparent and the Real Estate Regulatory Authority (RERA) has stabilised. 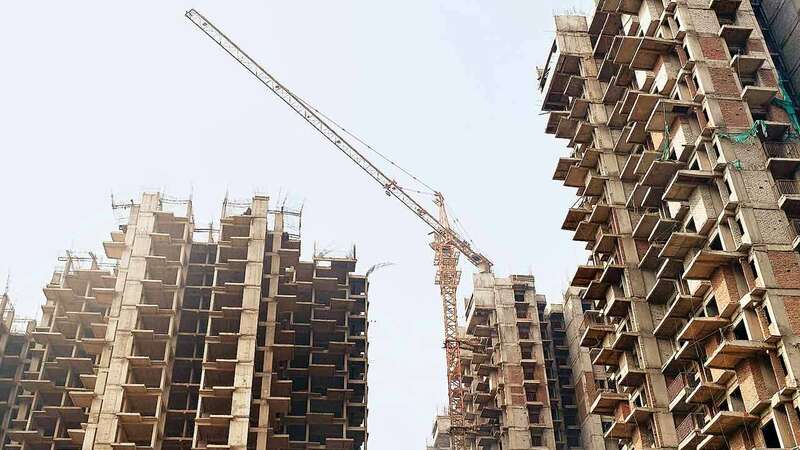 Bank funding to developers is up 6.3% over the previous year, with outstanding loans to the sector at Rs 1,87,200 crore at the end of August 31, 2018. The loans had witnessed a de-growth of 3.1% at the same time last year. While this is a small portion of the total outstanding bank credit at Rs 92,47,786 crore that is growing at 12.38%, the quantum of money flowing into realty is set to increase, according to bankers and developers. In Maharashtra, for example, where RERA is well established, there is ample funding for builders, said real estate developers. On their part, developers are trying to fulfil all their commitments by keeping their debt levels low and being transparent. From taking bookings at the drawing-board stage when no permissions were in place, developers are now looking at selling only after completion with no pre-launch sale. DLF, one of the biggest builders in Gurgaon, is among the builders who have decided not to market any pre-launch properties. The company will sell only completed projects. DLF has unsold inventory of Rs 14,000 crore of residential property. “The revenue generated from these sales will fund our future projects, helping in part to bring down our debt,” said Rajeev Talwar, chief executive officer of DLF. The company said it had completed all its residential properties in December 2016 and fulfilled all its customer committments by handing over all the completed homes by December 2017. Developers say that two big disruptions – demonestisation and goods and services tax – had set the sector back with stagnation in sales and unsold inventory. RERA is slowing turning in favour of the sector, at least in select markets. “The push for affordable housing by the government is also bringing in money and banks are more confident of lending to RERA approved projects, said Satish Magar, president elect of Confederation of Real Estate Developers Association (CREDAI). State Bank of India is also looking at implementing a specialised scheme for developer financing, which look at select projects. India has a shortfall of six crore homes, according to government data. Under RERA, developers have to file all the data on their projects, all approvals have to be in place, and the funds are kept in a separate escrow account so that there is no diversion of money. “All this is giving confidence to both foreign investors and also the domestic lenders,” said Talwar. DLF got a $1.5 billion funding from Singapore’s sovereign wealth fund, GIC, in one of the biggest real estate transactions for a stake in its rental arm, DLF Cyber City Developers. In RERA-approved properties, the total outlay of the project has been ratified by chartered accountants, architects and engineers, and the cost and the funding is forecasted clearly. “Developers are more focused on bookings from end-users rather than on investors,” Sunil Bajaj, real estate consultant, said.